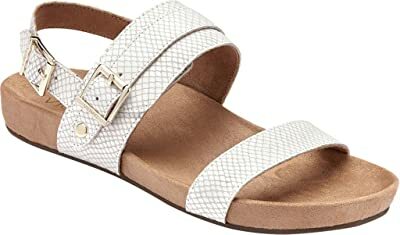 As jaw-droppingly hot as they may be, many women’s sandals will make your poor little manicured feet say “ouch” after barely an hour of wear. If you’re going to be doing a lot of walking, it is necessary to find sandals that keep your tootsies feeling more pleasure than pain. Luckily, these days there’s no reason to suffer with sore or blistered feet. The market is full of stylish, functional and comfortable sandals just waiting for you to wear them. But which pair is right for you? Whether you’re heading off on a fabulous vacation, wandering through the woods or surviving a hot summer in the city, these ten cute-and-useful walking sandals have you covered. These sporty sandals are perfect if you know you’re going to be logging some serious miles. Great in wet or dry weather, this is a pair that will keep your feet feeling fine even after many hours of walking. Designed with a trademarked FloatLite sole, these shoes weigh next to nothing – a great feature when your legs are already working hard all day. With excellent arch support and an adjustable ankle strap, expect your feet to be feeling fine in these flexible, cushy sandals. Not only is this sandal totally cute, it’s great for maneuvering through cobblestone streets and gravel roads. Right out of the box this pair of leather sandals will keep you comfortable as you trek all over the world. No blisters or arch pain here! The cork and latex insole molds to your foot but can be removed if you’d rather pop in your own pair of orthotics. The outsole is slip-resistant, making it a great option even if you get surprised by a little rain while out and about. The style is simple and elegant. If you only bring one pair of shoes with you on vacation, these may just be on the top of the list! Feet don’t always need to be tucked away in heavy, dense boots when facing the great outdoors. 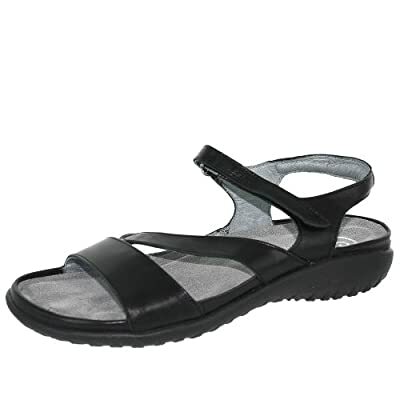 These breathable, lightweight sandals have been given the Seal of Approval by the American Podiatric Medical Association, so you can bet they’ll feel good. They boast a trademarked ChacoGrip outsole that promises to grip the ground and provide stability. You can choose from several different patterns and colors, but whichever you pick these shoes will take you all the way through that rugged nature trail. 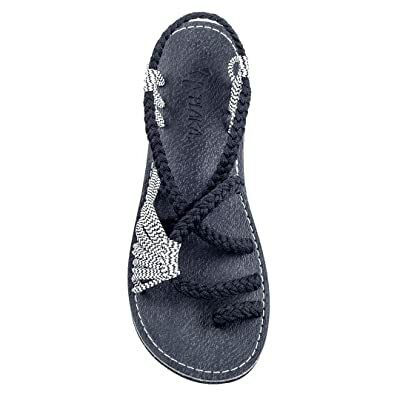 Podiatrists warn against traditional foam flip-flops, but the FitFlop Delta Sandal manages to cut through the stigma surrounding the toe-post trend with this supportive sandal. The midsole has been specially designed to disperse pressure evenly throughout the foot, and the foot bed is breathable to help keep your feet dry and happy. Expect to feel like you’re walking on air in these sleek leather sandals. TOMS does more than their well-known slip-on canvas shoe. Here they’ve designed a soft, airy sandal that’ll keep you looking gorgeous whether you’re strolling down the boardwalk or enjoying a friend’s backyard BBQ. Styles come in either leather or suede and in a variety of colors. The insole is treated to protect from bacteria so your feet stay feeling fresh. The stacked heel gives support without sacrificing style. No list of sandals is complete without a pair of Birkenstocks. The famed company has created the perfect sandal for journeying through the city all summer long. With the original Birkenstock foot bed, you can expect these babies to form perfectly to your feet after a bit of break-in time. Birkenstocks are known to last for years, so the investment will pay dividends with all the mileage you’ll get out of them. A bit more fashion-forward than their traditional counterpart, throw this Mayari style on with shorts, jeans, sundresses – they sky’s the limit! 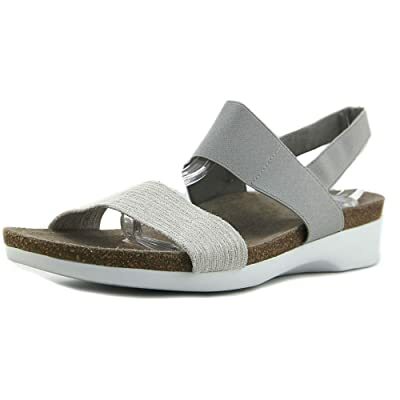 If you’re not in need of arch support, check out this chic pair from AVARCAS. Touting an eco-friendly recycled rubber sole and made in Spain, these soft leather shoes are perfect for going from daytime to date night without skipping a beat. 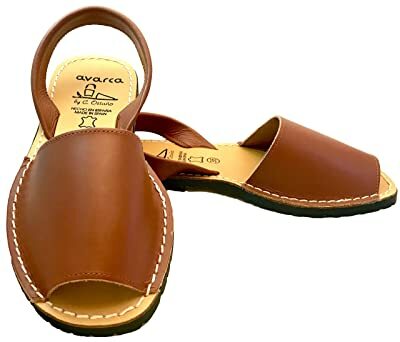 The leather stretches to adapt to the shape of the foot and if you find that you aren’t happy with them for any reason, AVARCAS will gladly give you your money back. If you do decide to buy, pick up a pair in a size smaller than your usual, as these do stretch. 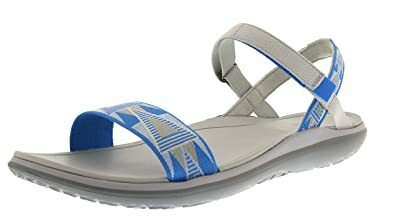 This sandal only comes in a medium width, but the medium width really is a wide width in comparison to other sandals on the market. Similar in style to the MUNRO ‘Pisces,’ the Samar Sandal is just plain comfortable. The two buckles on the ankle give these shoes an especially classy feel, and the supple micro-fiber covered foot bed delivers a smooth, comfy ride. Coming in a variety of colors (including snake-skin and zebra print!) you’ll love living in these fashionable sandals all summer long. The Pisces style is designed to be extra-light and shock absorbent, making them a great option for all-day wear. The stretch fabric instep strap offers customizable comfort. With no break-in required and over a dozen color options, you really can’t go wrong here. Low-price doesn’t mean low-quality and these sandals prove it. The straps are made of soft nylon and form to your foot without rubbing. 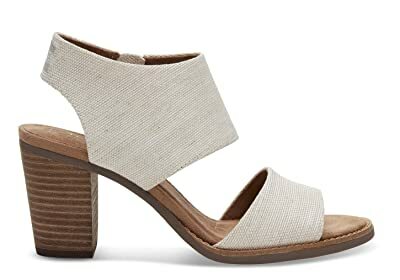 They have a small stacked heel, which provides a little lift that many find more comfortable than a fully flat sandal. The straps are woven in an intricate and unique pattern and come in tons of colors. Water resistant and thin enough to toss into your bag or suitcase with ease, expect these to be your go-to beach sandals. So now you have some choices, but how do you know if a pair will be the right fit? Truth is, you’ll never know until you try, but there are definitely some ways to make your sandal-shopping journey easier and more enjoyable. What do you need your sandals to do? If you’re going to be wearing them mostly on hiking trails, obviously a pair of chic soft-leather slide-on sandals isn’t the right choice. Do you need them to be water resistant? What about able to go from day-to-night? Perhaps you’re packing light and so you need an overall pair that can get you through pretty much every day comfortably. Make a list of needs and compare that to the options out there. This will help you stay on track and order a pair that will actually work for you rather than get distracted by something that may be gorgeous but not useful. Nothing like taking the plunge on a pair of sandals a few days before a big trip only to have them show up the day before you leave and have them not fit, or you can’t stand the style now that you have them on. If you know you’re going to need a pair, plan ahead and order a few weeks in advance to leave wiggle room for any purchasing mishaps. If you must order close to your trip and your budget allows, order a few different styles. At least one is bound to be a winner, and you can return the rest either before or after the trip. This article is a good start, but if a pair or two strikes your fancy, dig deeper into the specs to see if they really do fit the bill. Once you’ve gathered a bit more info, trust your intuition to tell you which to purchase. Again, the return policy is your friend. If they don’t work out, send them back and try, try again. To get really slick, head straight to the store of the company you’re looking to buy from. Try the shoes on there, walk around in them a bit and see how they feel. If they’re winners but you’re not looking to drop full price, search online for the best deal. No time to go to the store? Take a peek at styles you own or have owned in the past that really worked for you. If you know a toe post doesn’t feel good, stay away from flip-flop styles. If you find that all your current pairs are flat as boards and make your feet hurt after a few hours, invest in something with arch support. Looking at what has and hasn’t worked for you in the past will lead you in the right direction for your new pair of summer sandals. So you’ve bought a pair or two – great! Even if you tried them on in a store, make sure you wear them around your home for a few hours to ensure that they really are as comfortable as you initially thought. Some styles like Birkenstocks take time to break in, but if a company touts that their style is wearable right out of the box you’re going to want to test that claim. If the style fits great at first but starts to rub or pinch in places after a few hours of wear, perhaps they’re not the right pair for you. Q: How important is arch support really? Some people live in flat, hard sandals or flimsy foam flip-flops all summer long without a care. For many of us though, a shoe without any support will end up causing all sorts of aches and pains. If you know that you pronate, arch support is necessary to help your alignment. Check with your podiatrist or physician to see if arch support is a must-have, or if you can get away with something less supportive. In general, however, the body is happiest when supported. What may feel fine now may show up as trouble in the future. Even if those flat slide-on shoes don’t give you trouble now, do yourself a favor and mix in a pair designed to help maintain proper alignment. Q: What about bunions or plantar fasciitis? If you’re living with these types of foot issues, it’s even more important to test shoes well before making them your go-to pair. Look for something with stretch that will minimize constriction if you have a bunion, and refrain from styles with a lot of straps around that area. If you have plantar fasciitis, your doctor may be able to recommend the appropriate brands to look into. Vionic is considered a great brand for both bunions and plantar fasciitis. Check out multiple style options to find the best fit. Q: How long should sandals take to break in? It depends on the brand, and on your foot. 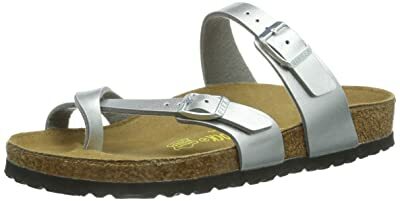 Birkenstock takes several wears before the insole molds completely to your foot. Brands like Naot and Chaco should have less of a break-in period, if any at all. If you want something that’ll definitely wear comfortably right out of the box, look for a flexible, soft sole and stretchy or adjustable straps that will adapt to your foot. Q: Is one pair enough? Depends on what you need. If you just need an all-around good walking sandal, one pair should be enough. But if you’re, say, going on a trip that’ll take you to the beach, to dinner, and strolling for long hours down cobblestone streets, you may want to snag a couple pairs. That being said, if you’ve found a stellar pair and you can afford it, it’s not a bad idea to buy it in a couple colors. A truly fantastic fit can be hard to find in a shoe, so if you’ve found the one why not get it in black and brown? That way you’ll be covered and comfortable no matter what your outfit. Footwear can make or break an experience. With all the options out there, there really is no reason not to have a pair that makes your feet – and you! – happy. A great pair of walking sandals can be an investment, but there are also plenty of options available for the budget-conscious shopper. Be willing to wait to commit until you find that perfect pair, but also be mindful that the right fit may not reveal itself right away. Test some out, take advantage of the seller’s return policy and when you find “the one” don’t hesitate for a second to snag them. Happy shopping! Best Walking Shoes for Women 2019 – Is It Different from Running Shoes?